To guarantee customer satisfaction every time you need to ensure your field service team is optimized, aligned, and ready for action at all times. 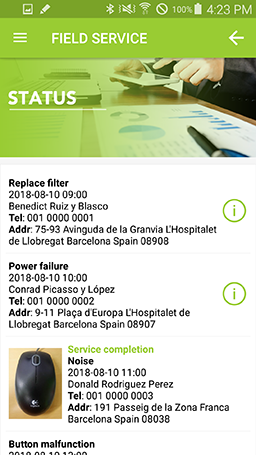 Today's customers want to know your technician will be out to help them quickly and on-time and you want that process to be as easy as possible for them and yourself. You don't have to be a global or national company to ensure top-notch service at every stop. Instead, you need software that puts the control in your hands with an easy-to-use application for everyone in the field to provide real-time updates. 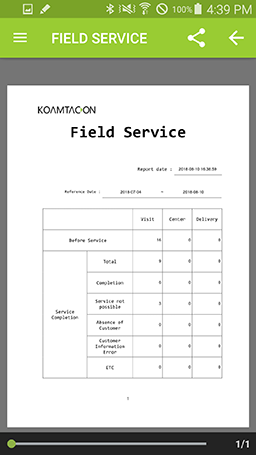 KOAMTAC's Field Service App within KOAMTACON allows unlimited communication between your teams to ensure on-time service and the highest customer satisfaction. Review task descriptions, visit dates and times, and customer information from one page. Get directions via Google Maps and quick access to call your customer. Set order of tasks to further prioritize. 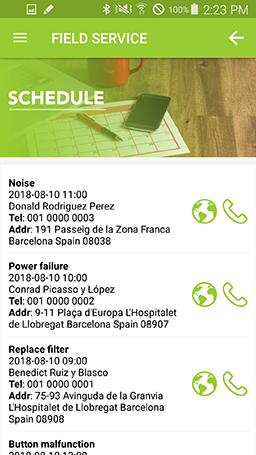 The schedule features Google Maps Integration as well as the ability to place a call to the customer directly. Select the task to log service flag, results, eason notes, descriptions, fees, photos, and collect signatures. 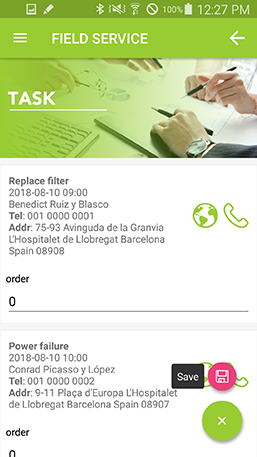 Check on the status of any service order - preview photo documentation and signatures next to tasks visited. Select the item for more detailed information. Run a report for a quick view of the number of completed, missed, or skipped service calls. Export this report to a manager for high-level views at the end of a long day or simply for personal record. 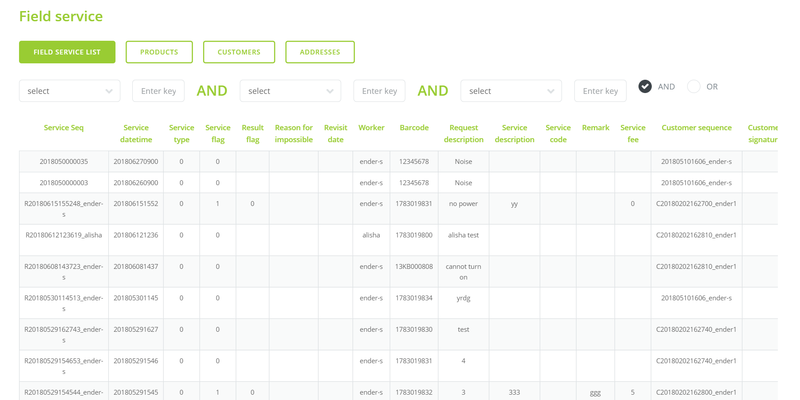 As an admin, you can view real-time updates for each service call from every worker.